About Jin X. Message Jin X. My tour of Shanghai with Jin X was outstanding. A touch of culture,history, life of today and the vast number of links to the past as well as a glimpse into the future of China. Yes a remarkable young woman unafraid of the challenges of being a top tour guide. 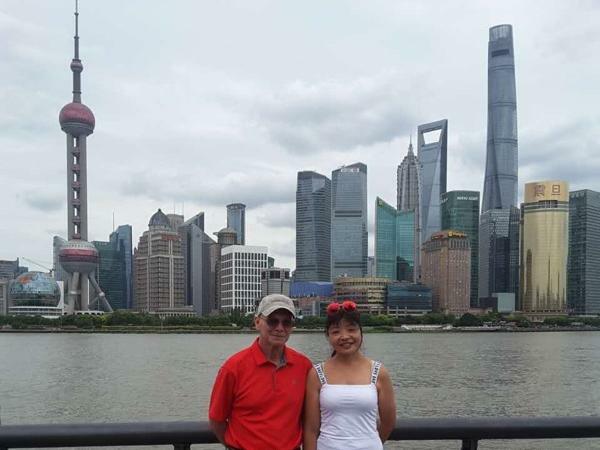 I highly recommend Jin as your guide when visiting Shanghai, she responded quickly & had great suggestions for our day trip. 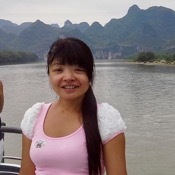 Jin is very knowlegable & her good natured demeanor made for a comfortable & memorable tour. Thank you Jin; we hope to meet up with you again on our return trip to China. We had a 6 hour layover in Shanghai on our way to Singapore. Jin arranged a tour for us based upon the time we had available and our interests. Jin was an expert in getting us around and we thoroughly enjoyed the tour! Jin is a Wonderful guide she is very friendly and very nice I am very happy that she was my guide, she took me to the beautiful places in Shanghai. I had a great time thanks Jin.